We’re eager to provide financing for your new car, or we can assist in used car financing. Check out our online car loan calculator for an instant estimate on a car loan rate. All types of credit, from good to bad, can qualify for an auto loan. No credit, no problem! We will work with you to try and secure a no credit car loan if your situation demands it. Brannon Honda has strong relationships and is committed to finding you the perfect car loan company to suit your car finance needs. Low-interest car loans are available for customers with existing loans. We can help you refinance your car loan or adjust the term of the contract. You’re just a step away from approved car financing! Birmingham area residents can expect competitive financing rates and terms on our extensive selection of new and used cars. Our Auto Loan experts are here to help guide you through the purchase or lease process. Our goal is to provide fast and friendly credit approval to get you in your new vehicle. All types of credit, from good to bad, qualify for an auto loan. No credit, no problem! We will work with you to secure a no credit car loan if your situation demands it. Fill out our online credit application to get pre-approved for a car loan or request a quick quote. One of our friendly auto finance specialists will get back to you shortly to assist you in obtaining the credit you need. 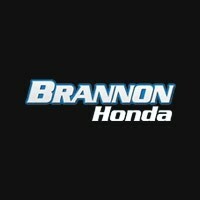 If you’d rather speak to a Brannon Honda car finance expert today regarding auto loan financing, please contact us. You’re just a step away from approved car financing!